Carroll’s chaotically fun classic, in a gorgeous new clothbound edition. These delectable and collectible Penguin editions are bound in high-quality colourful, tactile cloth with foil stamped into the design. 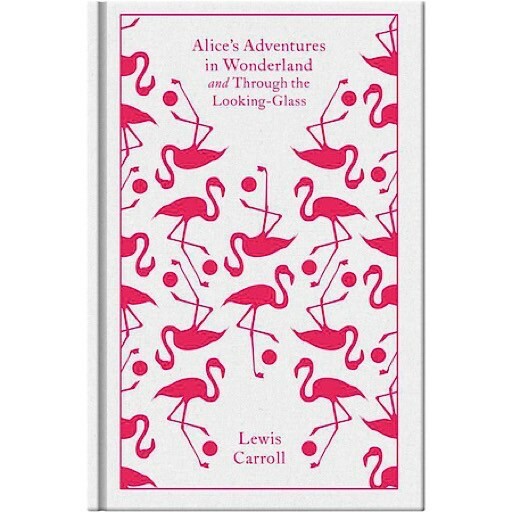 In the magical world of Wonderland and the back-to-front Looking-Glass kingdom, order is turned upside-down: a baby turns into a pig; time is abandoned at a tea-party; and a chaotic game of chess makes a 7-year-old a Queen. Hardcover; 448 Pages. Dimensions: W5 x H8 inches.